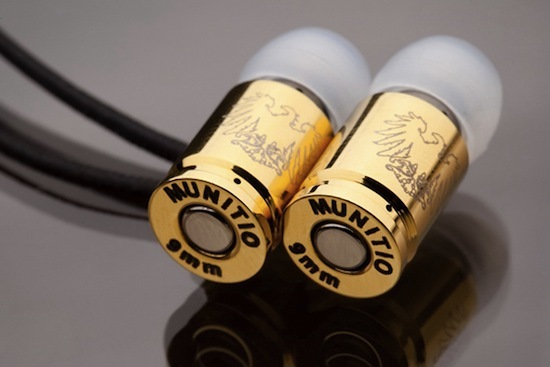 MUNITIO SITi 9 Millimeter Bullet-Shaped Headphones - iPhone.MY - Daily News On Mac, iPhone, iPads, iPods and more! 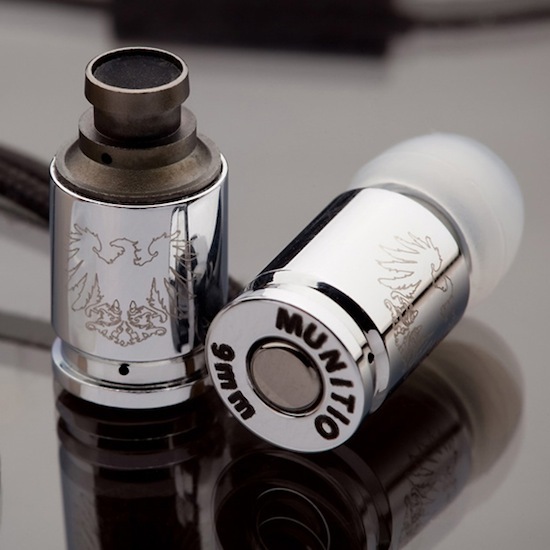 Beyond the obvious reference to a 9mm Parabellum cartridge and its intricate engravings, the MUNITIO SITi 9-Millimeter Headphone is an attainment of multiple technical extremes. 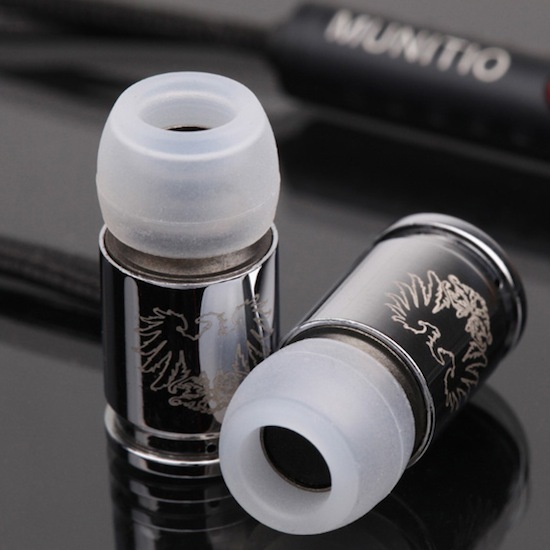 Its casing is coated in SITi, or Standard Issued Titanium, providing durability and a natural noise barrier. 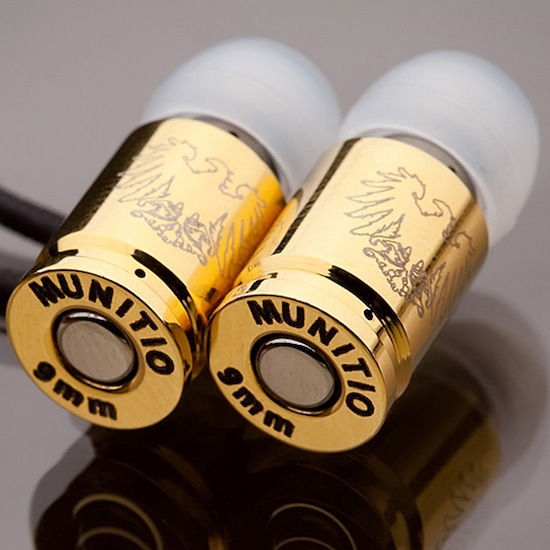 At its core, a 9mm driver made from rare earth neodymium magnets, supply superior sound. Proprietary BassEnhancingChamber and AccousticSoundFlowSystem technologies guarantee the most accurate bass as well as mid to high frequency resonances. 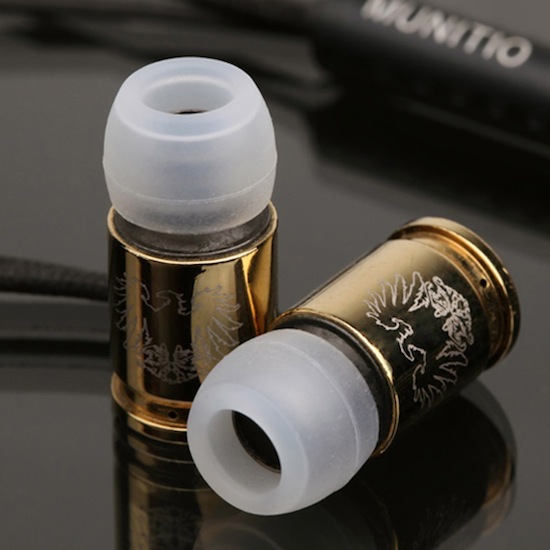 The SiliconeHollowPoints ear bud gives the best possible fit while canceling even more background noise. 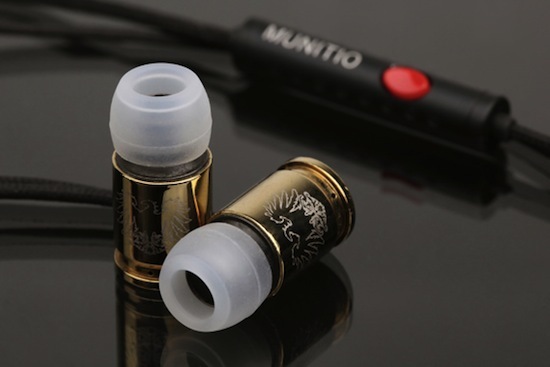 Finally, a Kevlar wrapped cord prevents fray and wear. 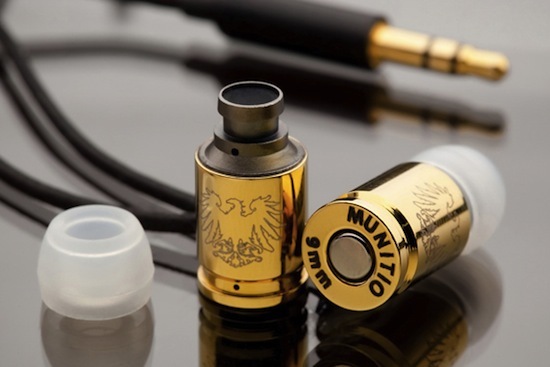 Available in eye catching Gold, Silver and Black, the MUNITIO SITi 9 Millimeter Headphones are now available at Primitive skate shop of Encino, California, as well as the MUNITIO online store.